Quernus // Matt Hamilton. An Internet technologist, interested in Python web development, iOS deployment and testing, wearables, networking and operating systems. So, Ripple have this piece of software called xRapid. The role of xRapid, for those that don't know, is to be an "on demand liquidity sourcing solution". So what does that mean? It means that xRapid uses public liquidity pools -- in this case crypto currency exchanges -- and buys and sells a digital asset (XRP) on demand, to satisfy a payment. All of that happens in under a minute, and is fully orchastrated by xRapid. The customer doesn't see any of it. All they know is that their payment has been made and got there in under a minute. As opposed to the 3 days it would likely take using the main alternative, SWIFT. To explore this a bit, I wrote a quick and dirty simulator to try and get a feel for the costs involved. The simulator connects to two exchanges and checks the current order books on each one and works out the cost of the two FX transactions using actual real order book data. This means it gives a feel for the size of the orders that xRapid could process at the moment. The code of the simulator is on Github so anyone can have a play with it. Let's have a go shall we and see if the savings claim of Mercury FX stacks up. Firstly, there are not any actual xRapid exchanges (that I know of) in the UK and using GBP. So I'm going to assume that they actually had an EUR account and started the transaction from there. Let's assume then that they were making a €4,000 EUR payment to Mexico. We know that Bitstamp is an xRapid-enabled exchange in Europe, and that Bitso is an xRapid-enabled exchange in Mexico. From the above, you can see that the end result was 84,920 MXN. It required using up the first two levels of orders on the orderbooks at Bitstamp, and used the first three levels of orders on the orderbooks at Bitso. It also calculated the trade fee at both ends of the transaction and deducted that from the resultant amount from the trades. It assumes that the cost to transfer on the XRP Ledger is negligible (it is thousandths of a cent per payment), and assumes there are no deposit/withdrawal fees at each end. It also doesn't include whatever cut Mercury FX take of the transaction. 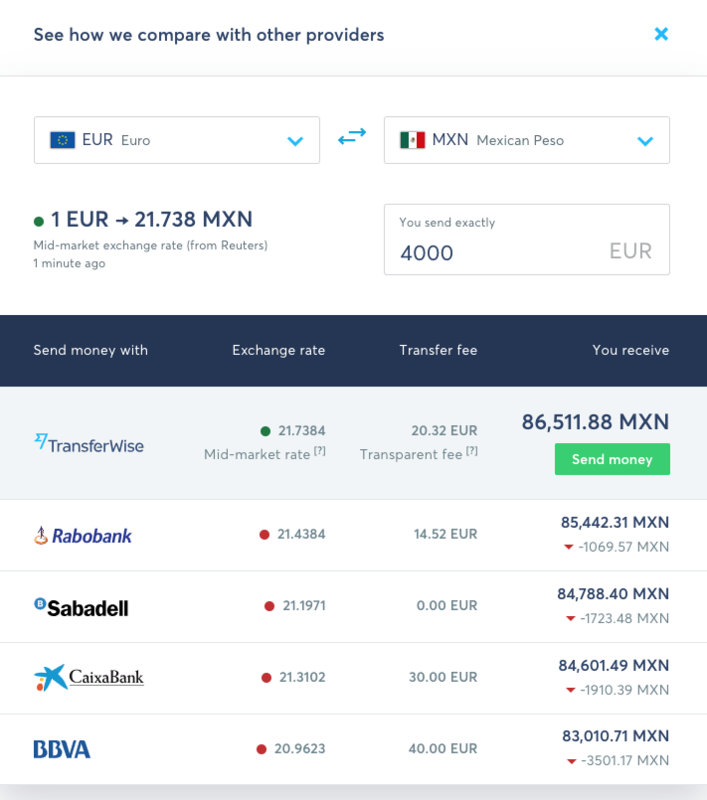 As we can see, Transferwise's prices are pretty good, and at 86,511.88 MXN, you would get about 1.8% better rate with Transferwise. But that said, it would take 5 days from today to get there! It is the 16th Feb now, and it estimates it should arrive by 21st Feb.
Transferwise gives us the comparison to four other banks. One of those banks Rabobank, is better than our rate above with xRapid. But the other three are worse. If we take the example of BBVA then you would get 83,010.71 MXN. Which is 1,910 MXN less than we would get with xRapid. How much is 1,910 MXN? Approximately £77. Which is very much in line with the £79.17 that Mercury FX claimed their client saved. So I'd say it is very feasible that the cost savings are very real and in line with that has been claimed. For further fun, you can use the xRapid simulator to test what transfers would cost between any exchange supported by the CCXT library used. For example, want to pretend that the Braziliex exchange is xRapid enabled, and you want to send Brazilian Real to Mexico? 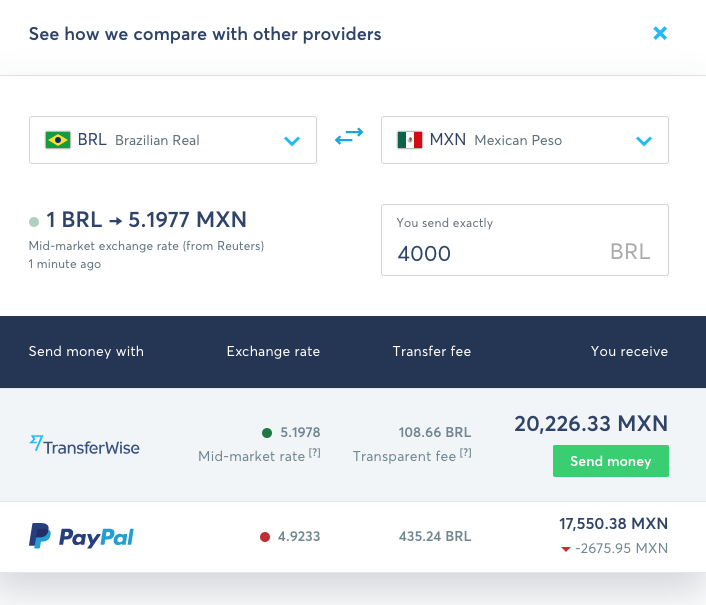 Transferwise says they could do it for a better rate resulting in 20,226 MXN. Again, it won't get there for 4 days, until the 20th Feb. They do give the option of Paypal for cost comparison. Which whilst might be quick, only gives you 17,550 MXN. A whopping 12% lower rate than you would get with xRapid! And, for even more fun, you can even use a different 'transport' cryptocurrency if you want. Whilst XRP is of course the one we are interested in as it is so cheap and fast to move about, using BTC in examples opens up the chance to play with other exchanges that don't list XRP yet. e.g. want to test sending 4 million Indonesian Rupiah to Mexico, using Bitcoin at the transport? In this case, Transferwise can't give me a price for this. That is because they don't have IDR -> MXN as a payment route. One of the main aims of xRapid is to remove the need for pre-funding of accounts at each end. This means that more 'exotic' payment routes will be possible without having each bank holding such a vast array of exotic (to them!) currencies. A lightning talk I gave at the PyData Bristol meetup on 20th Sept 2018. This is a talk about some experiments I have been doing trying to predict cryptocurrency price movements using a type of machine learning algorithm called a Convolutional Neural Network -- the same sort of AI used by computers to be able to 'see' a cat or a dog in a photo. In this case applied to market microstructure data on a cryptocurrency orderbook. Using the Unbound DNS server on OpenBSD you are able to easily create a 'split horizon' DNS in which you serve some additional information locally that is not visible globally. I was asked to explain how Proof of Work on a blockchain worked, here is a transcript. And how it compares to Ripple's consensus algorithm. 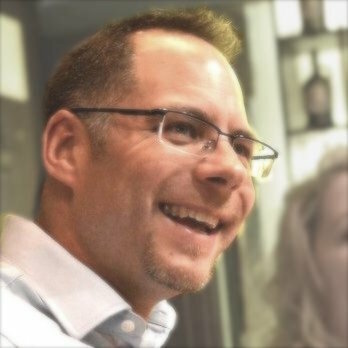 There is a lot of hate out there for Ripple and XRP by some bitcoin fanatics, but they are solving different problems, and here is a use-case of how they compliment each other. A look at the last three years of my work in numbers. I've recently started playing about with the cryptocurrency XRP and the Ripple network, here is a quick introduction to it.